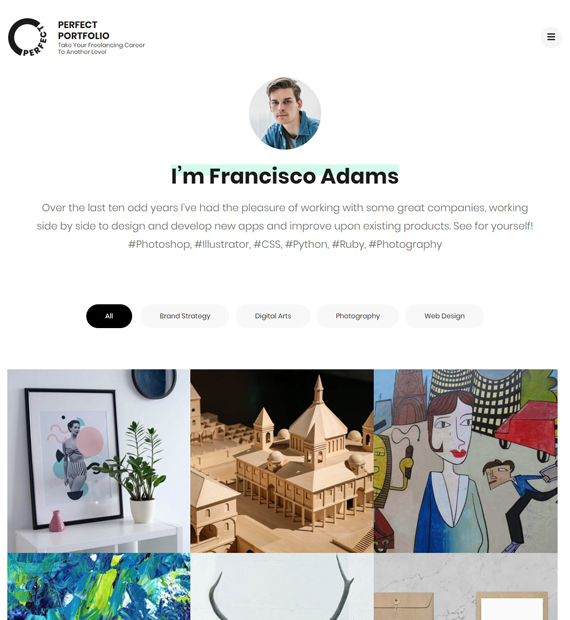 Perfect Portfolio is a professional free WordPress theme for web designers, graphic designers, photographers, web agencies, and freelancers to showcase their creative works. The clean and elegant design will mesmerize your users and create a long-lasting impression. The theme has a call to action button helping visitors to contact you so that you can grow your business. Moreover, you can also showcase your portfolio, services, blog posts, and integrate social media pages.